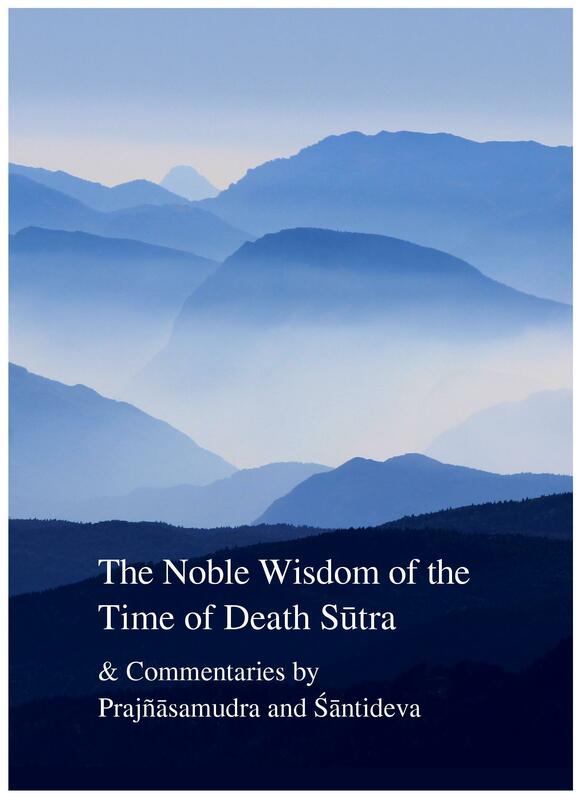 The Noble Wisdom of the Time of Death Sūtra is a Mahāyāna sūtra that was taught by Buddha Śākyamuni. Belonging to the third turning of the wheel of dharma, it presents the final and definitive teachings. Though this sūtra is very short, it contains pithy and direct instructions on the view and meditation of the Mahāyāna. A condensation of the Mahāparinirvāṇa Sūtra, it is one of the ten profound sūtras that are said to expound the definitive and ultimate intent of Buddha’s doctrine. This small book contains a translation of the sūtra as well as first-time translations of the two commentaries on the sūtra written by the Indian masters Śāntideva and Prajñāsamudra. The book is available for free download as a PDF and includes the Tibetan as well as English translation.